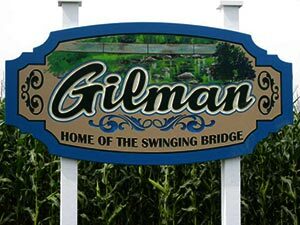 Welcome to Gilman WI - Home of the swinging bridge! the Friends of the Western Taylor County Library. Treasurer Fran Prasnicki will be in the office on Tuesdays from 10AM - Noon and on Thursdays: 1PM-3PM! Thank you! The Village office will be OPEN Monday, April 15, 2019 8:00AM-4:00PM, Tuesday, April 16, 2019 8AM-11AM and the TREASURER IS IN THE OFFICE 10AM-12NOON, Wednesday, April 17, 2019 OPEN 8AM-5:30PM, Thursday April 18, 2019 8-4PM, and Friday, April 19, CLOSED! The Advertisement for Bids is ready. Please see listed on the main page! Gilman is an active rural community located on the Western End of Taylor County in scenic north-central Wisconsin. Situated 15 miles north of the cities of Thorp and Stanley off of Hwy 29. The Village offers the scenic Yellow River and the Gilman Swinging Bridge that is still in use. 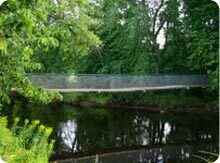 This suspended cable bridge is one of the last, if not the last, true swinging bridges in the state. 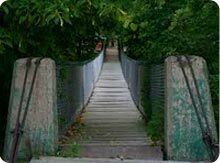 Visit our wonderful Village Park along the Yellow River and make it a point to see all of our Five Bridges. 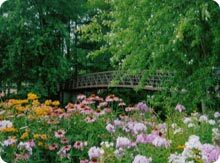 The Village of Gilman with its numerous outdoor opportunities provides an ideal environment to live as well as a great place to visit. Please feel free to contact us with any questions regarding the Gilman community, its opportunities. The Village Clerk's and Treasurer's Office is located at the Gilman Municipal Building at 380 East Main Street Gilman, WI 54433 in the Village of Gilman. The Clerk's office hours are from 8:00 a.m. until 4:00 p.m., Monday through Wednesday and Friday. The Treasurer's office hours are Tuesday 10a.m. to Noon and Thursdays 1p.m. to 3p.m. or by appointment. There is a 7-member Board of Trustees elected to staggered terms of two years each. The Village President and Board of Trustees oversee a staff of 6 regular employees. Please use the tabs for contact information, meeting agendas and minutes, calendar, village forms, and newsletters.